Artist Beau Stanton’s mural of Ava Gardner in Los Angeles’s Koreatown. 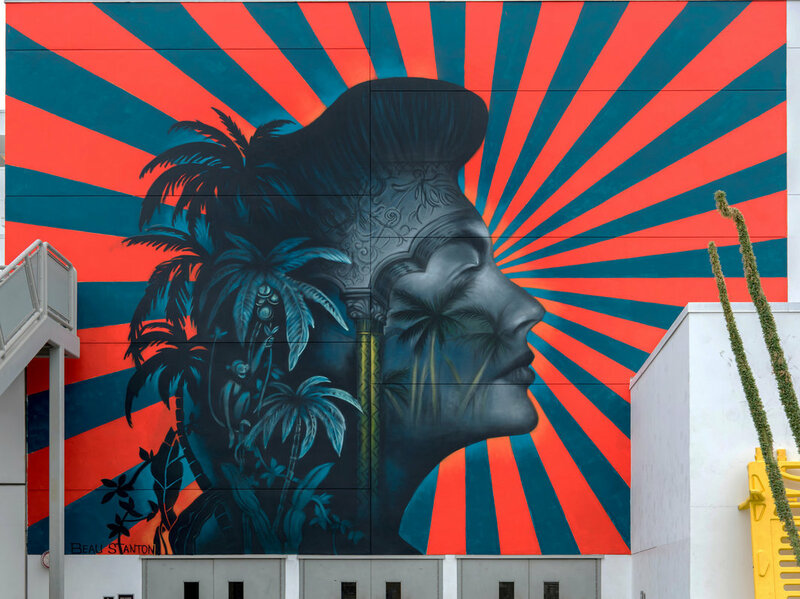 The Los Angeles Unified School District (LAUSD) has postponed its controversial decision to paint over a muralwhich depicts American actress Ava Gardner’s profile against a backdrop of blue and orange stripes emanating from her like sunbeamsin Los Angeles’s Koreatown after it sparked a contentious debate over censorship, the Los Angeles Times reports. Critics and protestors of the muralwhich was painted by Brooklyn artist Beau Stanton on the Robert F. Kennedy Community Schools complex two years agohave petitioned for its removal because of the sun motif’s likeness to the imperial Japanese rising-sun flag, which was used during Japan’s colonial occupation of Korea from 1910 through the end of World War II in 1945. “This flag symbolizes the Japanese military aggression which resulted in [some] of the most horrendous and gruesome crimes against humanity in human history,” Chan Yong (Jake) Jeong, president of the Wilshire Community Coalition, wrote in a letter to the school system in November. Among those demanding that the work be taken down or altered are several artists of the Korea diaspora, as well as Christine Y. Kim, associate curator of contemporary art at the Los Angeles County Museum of Art; Yong Soon Min, artist and University of California, Irvine, professor emerita; Esther Varet Kim, owner of the gallery Various Small Fires; Eric Kim, cofounder of the nonprofit arts space Human Resources Los Angeles; Nancy Lee, senior manager of public relations at the Hammer Museum; and Kibum Kim, associate director and head of art business at the Sotheby’s Institute of Art Los Angeles. Other cultural figures who have defended the mural include artists Shepard Fairey, James Bullough, Allison Torneros, and Cyrcle, as well as the Los Angeles–based artist-duo David Leavitt and David Torres, who all have public works on the school’s property; the Oakland-based Korean American artist Dave Young Kim; and Philip Ahn Cuddy, cohost of a podcast produced by Korean American Heritage. Stanton has also argued that the work does not resemble the Japanese flag and said that the piece is a tribute to the historic Cocoanut Grove nightclub, which was favored by Hollywood producers and starlets. The letter calls for a swift response from LAUSD superintendent Roberto Martinez and board president Monica Garcia; members of Gyopo have noted that, while media coverage of the event has died down in recent months, the school’s silence over the work’s fate is troubling.